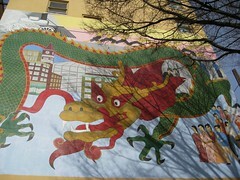 This mural overlooking Hing Hay Park will have a fine view of Saturday's Chinatown-International District Night Market. Photo by J. Brew. If you are planning to leave the Hill on Saturday, you may want to be aware of some nearby events that will affect traffic. Seattle’s Chinatown-International District Night Market will run from 6:00 pm until 11:00 pm at Hing Hay Park. The market features local vendors with food, gifts, art, and more. There will also be entertainment, games, and the Bruce Lee movie Enter The Dragon at dusk. It’s free and open to the public. Streets in the area will be closed from 3:00 pm until Midnight. Easiest way to get there? Take Link light rail from the Beacon Hill Station to the International District/Chinatown station, then walk two blocks East on South King Street. The Central Area Community Festival will run from 11:00 am until 9:00 pm at the Garfield Community Playfield, 2223 E Cherry Street. There won’t be any street closures, but you should expect heavy traffic in the surrounding area. And, lastly, there’s a pre-season football game. The Seahawks will take on the hated Denver Broncos in Qwest Field at 7:30 pm. 45,000 are expected to attend, so avoid the stadium area if you need to drive at that time. Going to the game? Take Link light rail from the Beacon Hill Station to the Stadium station, then walk west, then north, to Qwest Field. It’s hard to miss. Soon the sound of music will surround this sign. Photo by Bridget Christian in the Beacon Hill Blog photo pool on Flickr. 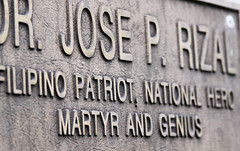 The First Annual Rizal Park Music Festival will be held at Jose Rizal Park on August 8, from noon-8:00 pm. The festival will showcase local talent in music and fine arts, as well as promoting the Dr. Jose Rizal Park and Bridge, both named after a Filipino national hero. 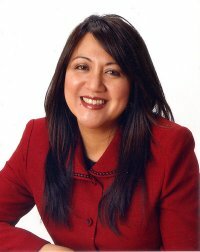 It will also benefit the Rizal Park Preservation Society and the Zenaida Guerzon Foundation (read more about Zenaida Guerzon, a former Franklin High School teacher and Filipino community leader, here). The event will be a family-friendly event with kids’ activities. Food vendors will be there, art and dance will be exhibited, and there will be music from bands and artists including Angelo Pizarro, Network, NewWave, EnRoute, and more. Volunteers are welcomed; see the website for further information. Chinese girls in vivid red and gold. Neighborhood Planning town hall meeting 9am Saturday at El Centro! Do not miss it! As the neighborhood planning meeting winds down, take the kids (aged 7-18) to the Jefferson Park golf course to register for a free junior golf program offered by the Fir State Junior Golf Foundation. Registration is from 3-6pm on Saturday, May 30th, for an instructional program beginning June 28th. Right between the planning meeting and the golf program sign-ups on Saturday, the Denise Louie Education Center is hosting its 4th Annual Children and Families Festival from 1-4pm at the Jefferson Community Center. Be sure to check out the Events calendar for more upcoming activities nearby! Reps from DPD present talked about outreach and prep for the next planning meeting May 30th. An ad hoc committee and an outreach subcommittee of the Neighborhood Planning Advisory Committee is seeking a six month delay in the DPD neighborhood planning process to get outreach to more of the community and focus more closely on neighborhood issues specifically instead of Southeast Seattle issues generally. Beacon Mountain Playground is moving forward with phase 1 of the project. An SDOT representative will be at the June meeting to provide an update. Some background on the Sound Transit tunnel voids was given by Roger Pence. There are believed to be only two unfilled voids remaining and they are being actively worked on. Some discussion of the pedestrian safety, zoning, and environmental issues around the new car wash occurred, leading into a proposal to form a committee to work on attracting additional businesses to the hill and a motion to write a letter to the DPD concerning the zoning conflict with the transit overlay area. Police updates included notice that staffing hours will likely change soon, focusing more bodies during the times of day when they’re needed. Also brief discussion of car prowls, burglaries, graffiti, car accidents, prostitution, etc. Asian Express’s liquor license renewal is mentioned to be coming up soon, and it may be an opportune time to work out a “good neighbor” agreement to reduce the sales of high-alcohol beverages. Volunteers were sought to staff the NBHC booth at the Jefferson Park festival on June 6th. Michael Richmond mentioned the possible upcoming city council and mayoral candidate forums this fall. Previous candidate forums are said to have been especially well attended here on the hill. The Piñata Party will be on July 18th this year — the same day as the Sound Transit Link Light Rail grand opening. This may be both good and bad. Did I miss something or get something wrong? Let us know in the comments.